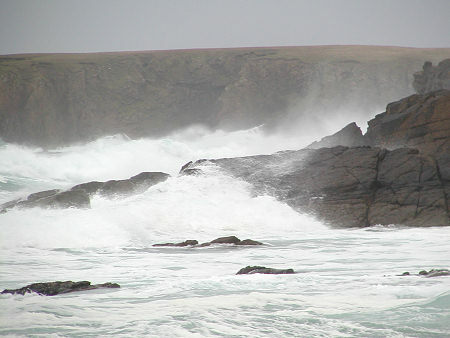 Harold's Wick is a sheltered bay on the east side of northern Unst. It was named after King Harald of Norway whose fleet landed here in AD875 to support Norway's claim to Shetland. 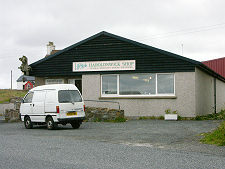 Haroldswick's seagoing past is reflected in the Unst Boat Haven in the centre of the village. 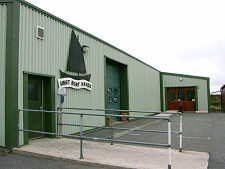 This houses a collection of traditional Shetland and Scandinavian fishing boats, especially from the days of sail. 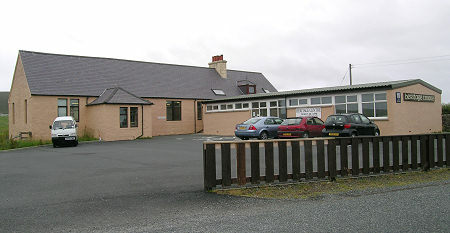 Nearby is the Unst Heritage Centre, which serves both as a museum and a community centre. 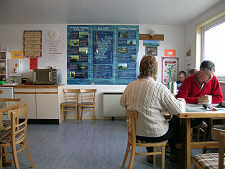 A little north of Haroldswick is the main low level base for the now closed RAF Saxa Vord. This is being converted into the Saxa Vord Resort which aims to provide a range of different types of accommodation as well as a bar, a restaurant and other attractions for visitors. Meanwhile the mothballed early warning radar station remains perched at the far end of a steep road leading to the top of Saxa Vord, Unst's highest hill at 285m or 935ft. The summit radar station holds the unofficial British record for wind speed, which in 1962 was recorded at 177mph: just before the measuring equipment blew away! 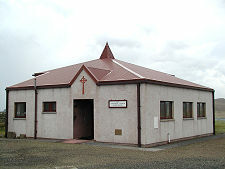 Close to the low level base is Haroldswick Methodist Church, Britain's most northerly, itself built in 1993 to replace an earlier church badly damaged by high winds. 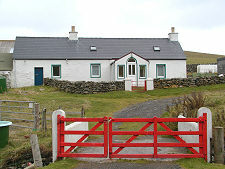 A short distance further up the east coast of Unst is the settlement of Norwick, on the shore of Nor Wick. It is said that in 1700 a sea eagle took a baby girl, Mary Anderson, from Norwick while she was sleeping. Others saw what had happened, and a boy called Robert Nicholson was attached to a rope and lowered down the cliff to the sea eagle's nest. He retrieved the baby unharmed. Inevitably, perhaps, the two later married and lived happily on Yell. North from Norwick a minor road - recently diverted because of a landslip outside the village - takes you to Skaw. Here Britain's most northerly road finishes at a neat and perfectly straight line of tarmac, outside Britain's most northerly house, Skaw, complete with an outhouse constructed from an upturned boat. Close by is what may well be Britain's most northerly beach. Bathing is not recommended, even when there isn't a storm smashing huge chunks of the north Atlantic onto the black rocks that frame the beach. Heading north west from Haroldswick brings you to Burrafirth, with its lovely red beach at the head of the narrow and steep-sided Burra Firth. Beyond is the rocky headland of Hermaness, a nature reserve and home to some wonderful coastal scenery including cliffs over 550ft high. And to over 100,000 sea birds during the breeding season. 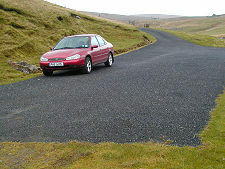 The road finishes at the Hermaness Visitor Centre.